...and more often than not, these owners tend to neglect backlinks and SEO. Hey, I get it. When you set up your first PPC campaign and see that you’ve made three sales overnight, you get a heady rush. You start experimenting with different copy, different targeting, and different ad formats, and before you know it, you’re spiraling down a wormhole spending an inordinate amount of time tweaking and optimizing your ads. 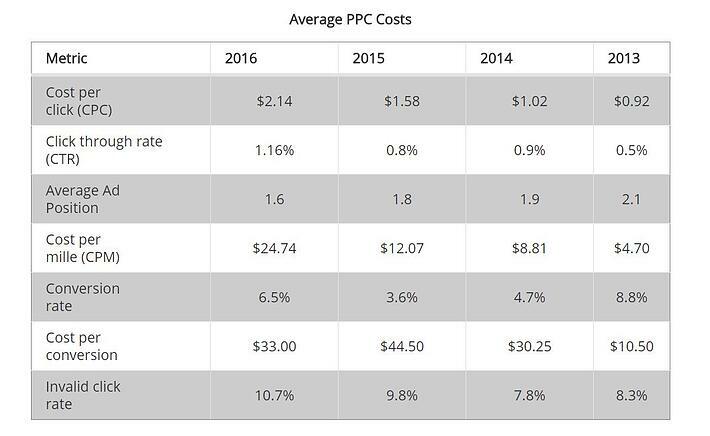 Each year, more advertisers are jumping onto the PPC bandwagon, and driving your Cost Per Click (CPC) up. 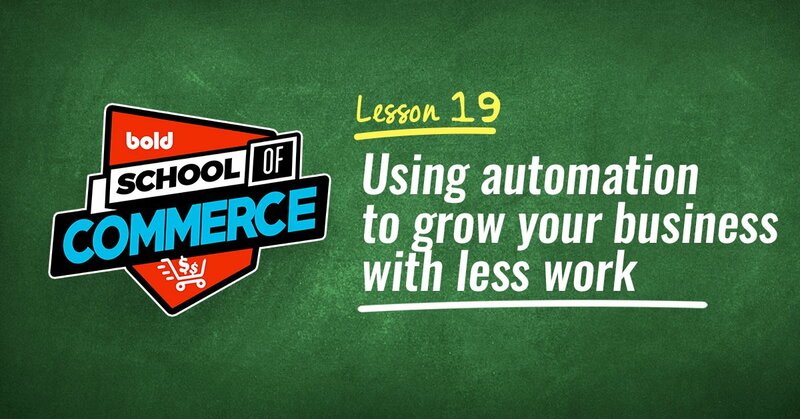 If you had been on Google AdWords in 2013, your average CPC would’ve been approximately $0.92. That’s a 132% increase in your ad costs. Say whaaat? And just incase you were wondering, advertisers on Facebook are getting hit with the same inflated ad prices. According to data from CNBC, Facebook's "average price per ad" measure increased by 5% in 2016, and 140% in 2015. More recently, we’ve seen a 136% jump in CPC in the first six months of 2017 alone. Damn. What are you gonna do? You can’t shut down your ads completely - paid ads are an important component of eCommerce marketing, and with your ads off, you can expect your revenue to drop drastically. What you can do is to make yourself less reliant on these ads by getting more backlinks to your store, and boosting your SEO! The more backlinks you get, the more Google trusts your website. The more Google trusts your website, the higher you’ll rank on search engines. With better visibility on search engines, you’ll get more organic traffic, which has higher conversions than PPC. Win-win-win. So how do you get more backlinks? Are all backlinks good? Is it OK to pay someone to link to you? I’ll answer all these questions and more. Let’s dive in. Here’s the part where I’m supposed to tell you to go for quality over quantity. But what is a “quality” backlink? First, quality backlinks are always follow backlinks (as opposed to nofollow backlinks). If there’s a follow backlink from Forbes.com to BoldCommerce.com, Forbes is essentially telling Google that they’re vouching for BoldCommerce. If Forbes links to BoldCommerce using a nofollow link, they’re acknowledging that BoldCommerce exists, but they’re telling Google not to count the link towards search rankings. Generally speaking, links from social media sites (Facebook, Twitter) as well as blog comments and forums are typically nofollow links. Whilst these are great for organic sharing and word of mouth, they don’t directly boost your search engine visibility. That being said, even a nofollow backlink from Forbes still has great potential to give you direct traffic and boost your store’s credibility. So if you get the chance, take it! Follow vs nofollow aside, here are some other factors that will impact the quality of your backlinks. Links from websites with high Domain Authority (DA) are more valuable than links from websites with low Domain Authorities. In human-speak, this simply means that the more authoritative a website is, the more valuable its backlink to your eCommerce store is. Forbes, for example, has a DA of 96. That’s about as high as it gets - which is why they receive thousands of submissions per day from entrepreneurs who are hoping to get a backlink to their website or store. Pro-Tip: Checking the DA of any website is easy. Simply use this tool! You can also get Moz’s Domain Authority browser extension to see DA on any page. Secondly, backlinks from unique domains are more valuable than those from websites that have linked to you before. Backlinks using relevant anchor text give you more keyword-specific value. 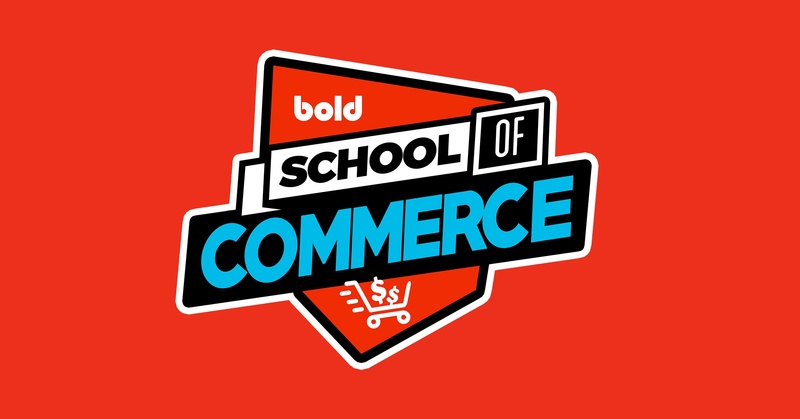 A) If you’d like to read Bold Commerce’s On-page SEO guide, click here! 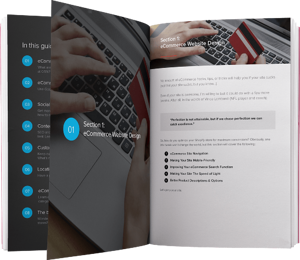 B) Get free access to Bold Commerce’s On-page SEO guide. With option A, you’re telling Google that the website being linked to is relevant to the keyword “here,” which doesn’t make much sense. With option B, you’re telling Google that the website is relevant to the keywords “Bold Commerce's On-page SEO guide,” Much better! That said, you want diverse anchor text. If all of your links say “on-page SEO”, Google will see that as you manipulating other sites to get backlinks and may penalize you. Read this article for more information on anchor text. Last but not least, a page which contains many backlinks will pass less value per link (as compared to a page with less backlinks). Great - you’re now up to speed with quality backlinks. Let’s move on! Buying backlinks: yay or nay? Which leads them to buy backlinks on sites like Fiverr. Google’s official stance when it comes to buying backlinks: It’s not allowed. At all. If you’re buying a backlink package off Fiverr, then you’re obviously buying backlinks. But if you’re sending free products to influencers, and having them blog about it (and link back to your website)? Technically speaking, you’re also buying backlinks. So here’s my take: you should never buy backlinks from marketplaces such as Fiverr, Private Blog Networks, or anyone that’s publicly selling links. Trust me, you don’t want to get your eCommerce store associated with these scammy websites which exist just for the purpose of trying to manipulate search engine rankings. If you’re caught by Google, your store will either be penalized, or delisted altogether. Just thinking about it is enough to make me sweat! You can, however, focus on working with real websites and blogs which produce great, high-quality content. So I won’t tell you to buy links. But if a link is a good fit, high quality, and adds value to an article… hey, why not get a spot there? 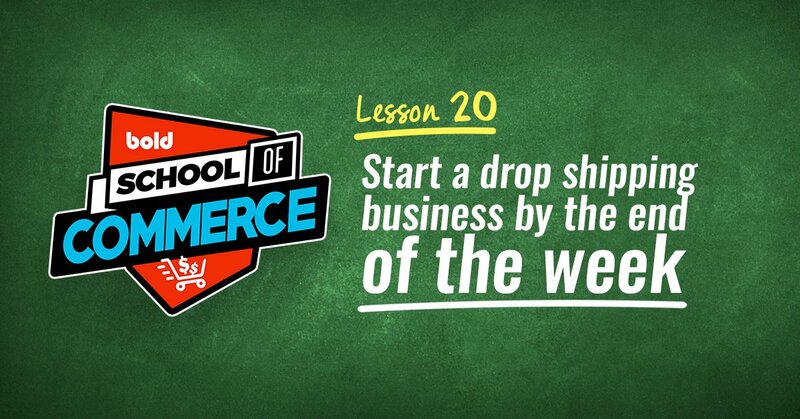 Now let’s move on to talk about how you can get non-paid backlinks to your eCommerce store. The following techniques will help you get backlinks to your store. Remember: focus on quality and quantity! If you want backlinks by the hundreds, creating amazing content is your top priority. Bet you already knew this on some level, huh? To create content that’s so awesome, people won’t be able to stop themselves from sharing and linking to it. Before you get started, however, make sure you do your keyword research. You don’t want to spend all this time getting backlinks only to rank for crappy keywords! An ultimate guide is exactly what it sounds like - the ultimate resource for the topic you’re writing about. The more comprehensive and power-packed it is, the better. Want an example? Neil Patel’s Step By Step Guide To Creating A Money Making Blog, which has 329 unique backlinks to date. These guides don’t just help you get more SEO juice - they also help establish you as a thought leader, and an expert in your space. You don’t need to pigeonhole yourself into creating something that’s 100% relevant to your product. A brand selling men’s shoes, for example, could write a guide along the lines of: The Modern Gentleman’s Guide To Being Well-Dressed During Every Occasion. As long as it’s relevant to your target audience, it’s good enough! Let’s say you’re that same brand selling men’s shoes, and you want to create that guide on being well-dressed during every occasion. Firstly, you’ll want to feature predominantly micro-influencers (those with <10,000 followers) in your article - you’ve got a better chance of having your article shared by these less famous people than actual celebrities. Secondly, remember how we talked about how most social media links are nofollow? 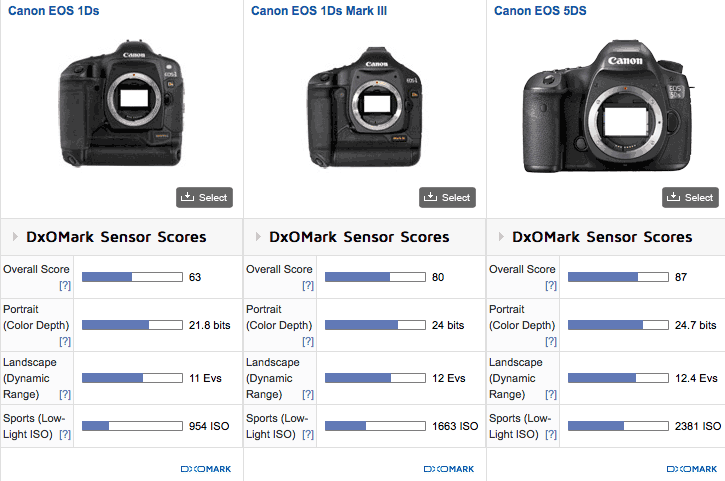 If you want to do something that’s tied in more specifically with your products, product comparisons are your best bet. This is extremely suitable for anything even remotely tech or electronics-related. If you’re in the fashion and lifestyle industry, however, you can still produce content in this same category by exercising a little creativity. Remember, the meatier and more substantial these articles are, the higher your chance of getting shares and backlinks! This is somewhat similar to doing listicles featuring influencers, but with these articles, you’re actually conducting interviews with the people whom you’re quoting or featuring. The downside to this? There’s more time and effort involved. The upside? You’re more likely to get backlinks to these articles, considering that you’ve built some sort of relationship with the people you’re interviewing. Give it a shot and see which works better for you! Infographics are awesome stuff, because they allow people to process a ton of information without having to read lengthy chunks of text. Plus, you don’t have to have a design background to be able to make an infographic. There are tons of free tools online that you can use - such as Canva, which allows you to create snazzy looking infographics using an easy drag and drop interface. Again, the more in-depth and substantial your infographic is, the more shares and backlinks you’ll get. Another way of getting backlinks? Guest post on other websites so you get a link pointing to your eCommerce store. With a little creative digging, it’s pretty easy to find out which sites accept guest posts. Let’s say you’re in the pet industry. Go ahead and Google “pets” and “write for us” to find your guest post opportunities. That should be plenty to keep you busy. Pro-Tip: If you play your cards right, you’ll be able to drastically increase your chances of scoring guest posts. Here’s what I’m referring to: instead of going straight in and asking for guest post opportunities, start engaging with the publication (or the editors of the publication!) on Twitter, or even leaving comments on articles. I’m not expecting you to become internet BFFs with these guys, but if you can establish some sort of rapport (regardless of how small), that will go a long way. Then comes ideation. In this step, you’ll need to come up with a few topics that are super tailored for the site that you’re pitching to. First things first: go and peruse the publication’s blog. If they’ve just published a post on how to care for leather bags two weeks back, and you’re pitching them a similar topic, that just tells them you’re not serious about this gig. On top of that, also take into consideration the publication’s target audience, and check out their guest post guidelines if they have them. Once you’ve come up with a few article ideas which you’re sure will be well-received by the publication’s editors (and its audience! ), go ahead and pitch. 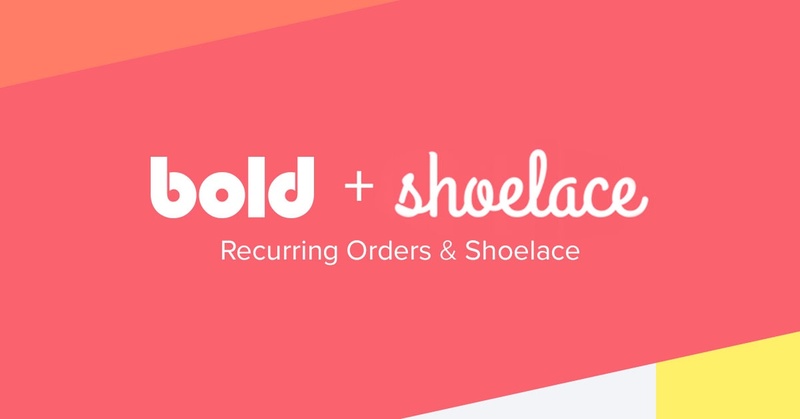 This one is for eCommerce stores which are reselling products, and it’s super easy to implement. Many manufacturers (such as Beardbrand, as seen below) list the retailers that carry their brand on their website. All you need to do is send them an email, and request to be added into this directory of retailers. That’s all there is to it - and you’ll have earned yourself a backlink! At the end of every year, look at next year’s calendar and start planning for the major holidays. Every single holiday is an opportunity for you to do media pitching, and land yourself a spot in the news. Let’s say you decide to limit your media pitching efforts to three specific holidays: Valentine’s Day, Fourth of July, and Christmas. Now it’s time to think of what you can do that’s newsworthy enough to get you featured on mainstream media. 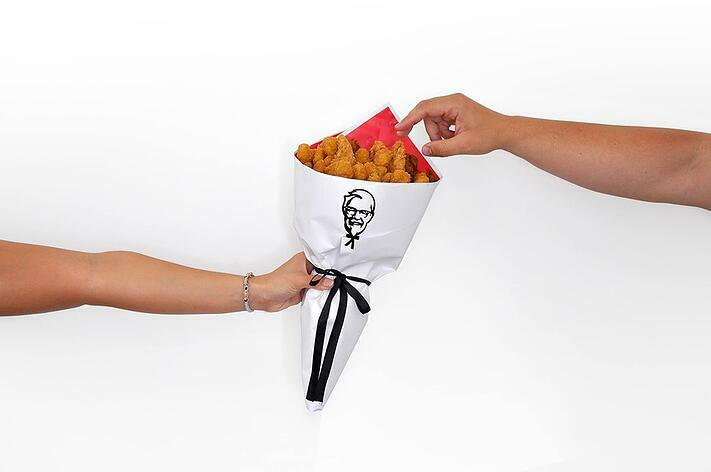 You could come up with a novelty product, like how KFC started selling fried chicken bouquets during Valentine’s Day this year. 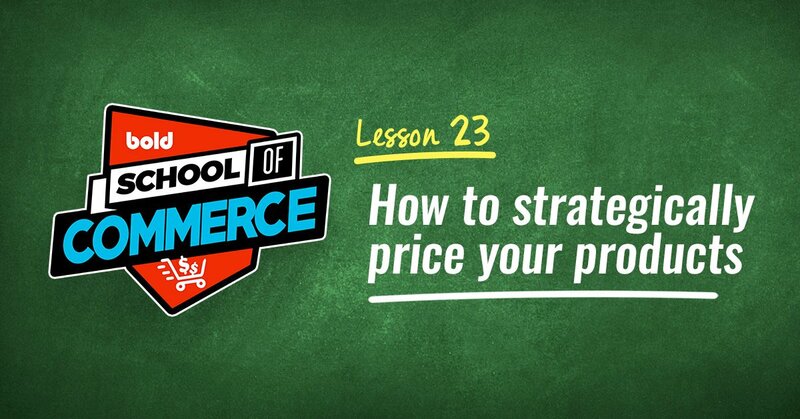 Pro-Tip: It doesn’t actually matter if you don’t sell that many bouquets. 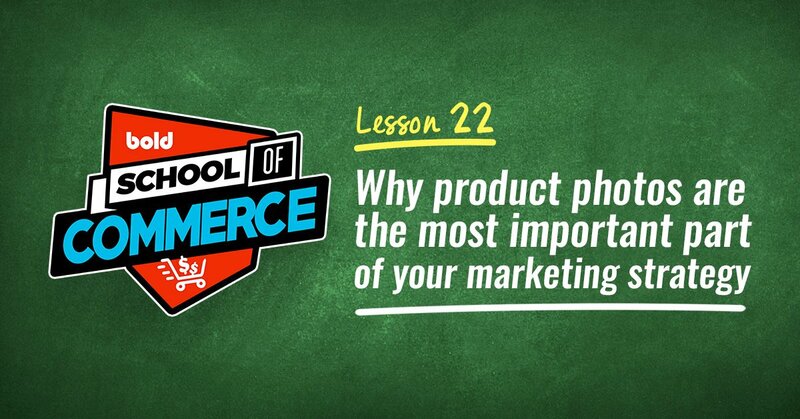 Or if your margins for this new product are higher than normal. You’re not going for profitability - you’re going for newsworthiness. Keep that in mind! It’s 2017, and nothing we do on the internet is private. Using Ahrefs, it’s easy to discover and study your competitor’s backlinks. After evaluating which backlinks you want, go ahead and contact the sites and see if they’ll link to you as well. 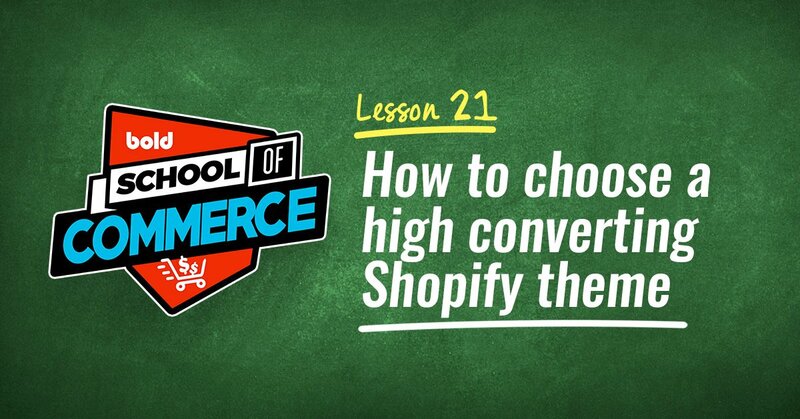 For a step by step guide on how to do this, check out our Ahrefs’s blog article! This technique plays on the power of reciprocity. And you’d be surprised at how effective it is! To find broken links, simply download the Check My Links extension and enable it. Then go to the most popular websites and blogs in your industry, and search for broken links (you’ll probably have most luck on their “Links” or “Resources” page, if they have one). Broken links are highlighted in red, while working links are highlighted in green. Once you’ve found a broken link or two, go ahead and email the webmaster to let them know. At the same time, request politely for them to link to your site. Make sure you tell them how your site is relevant to their reader, so that they can see the value you’re providing! Whew! You’ve made it to the end of the article. If all that seemed a little intimidating, not to worry. When it comes to backlinks and SEO, everyone starts off on the same page - as complete noobs. 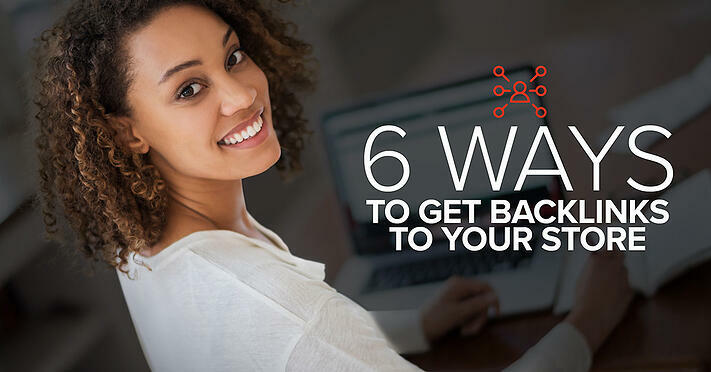 But you pick it up as you go along, and the more awesome content that you produce (plus the more guest posts you do), the more people will start recognizing your brand, and linking back to your store. So your job, right now, is just to get the ball rolling. That’s not too tough, is it? Out of all the techniques I’ve outlined above, I recommend going for #3 and #5 first. Those are your lowest hanging fruit, and by using these methods, you’ll have your first few backlinks up and running in no time. If you liked this post, please take a minute to share it with your entrepreneur friends (especially those who are relying too heavily on PPC ads! ).